When your bathub is structurally sound, but is chipped, cracked, stained or an outdated color, you can choose refinishing. Fixtures are often damaged during shipping, during installation, or sometimes as a result of a heavy or sharp object accidentally falling onto the surface. Bathtub repairs can be performed right where the bathtub is – quickly and inexpensively. What kind of tubs can be repaired? Professional bathtub repair uses waterproof, polyester resins to fill cracks and chips. Once properly sanded and filled, acrylic enamel coatings are delicately applied typically with an artist’s air brush. The repaired area is carefully blended into the surrounding surface so well that it is practically invisible. Chip and bathroom tub repair definitely takes an artistic eye for color and years of practice. Is it cheaper to replace my tub? Bathtub repair is usually much more economical than replacement. 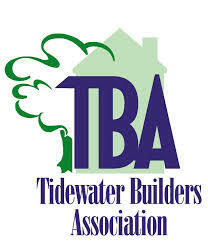 A single bathroom tub repair will often be below $200 compared to bathtub replacement costs that can exceed $3000! It may be tempting to purchase bathtub repair kits, such as a DIY project. However, it is nearly impossible to achieve a long lasting, color matched repair without using professional bathtub refinishing products. How does refinishing help the environment? Choosing bathtub refinishing over replacement helps the environment by minimizing landfill from discarded bathtubs and sinks, as well as other construction debris. Is there a difference between bathtub refinishing and reglazing? No, there is no difference in the process of refinishing vs reglazing. The terms can be used interchangeably. What surfaces can refinishing be performed on? Staples Tub Services can refinish porcelain, ceramic, fiberglass, acrylic, marble, laminate, Corian®, most hard surfaces found in you bathroom and kitchen. Can my bathtub be refinished? 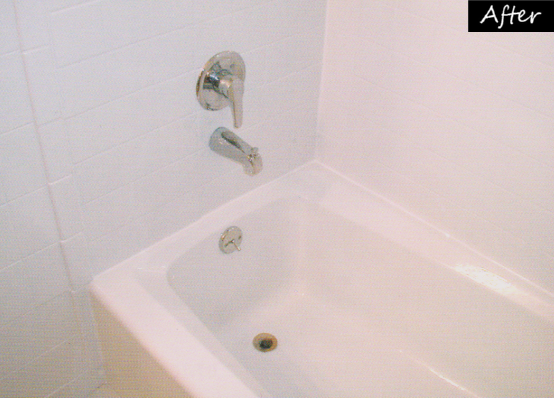 Staples Tub Services can refinish most bath tubs including porcelain, fiberglass,acrylic bathtubs. Can I change the color of my bathtub? Yes, you CAN change the color of your bathtub, along with your toilet, ceramic tile and vanity. You can choose from our decorative finishes or we can color match to any color you desire. Can my ceramic tile wall be refinished? Yes, you can refinish your ceramic tile. One of the main benefits of refinishing your ceramic tile wall is that you never have to worry about re-grouting or re-calking. The refinishing process produces a waterproof seal which helps to eliminate mold and mildew in your grout lines. What are the benefits of bathtub refinishing over replacement? You can save over 80% of the cost when you choose refinishing over replacement. Your bathtub can be refinished in one day, saving you the time it takes for the construction needed for replacement. Choosing bathtub refinishing also helps the environment by minimizing landfill from discarded bathtubs, as well as other construction debris created with replacement. Is a refinished bathtub better? A refinished bathtub is easier to clean and the process ensures the most protection against impacts, stains and chemicals. AND it looks marvelous! 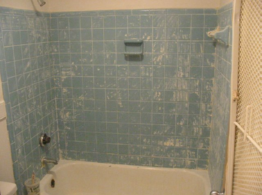 What are the costs of refinishing my bathtub? When refinishing your bathub you can expect to save big on time AND money. 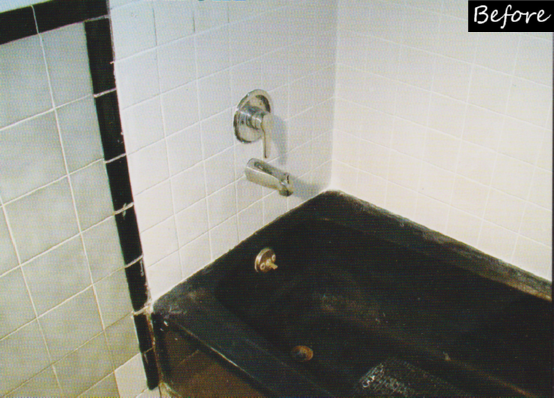 Refinishing you tub can cost as little as $200 and can be completed in one day.